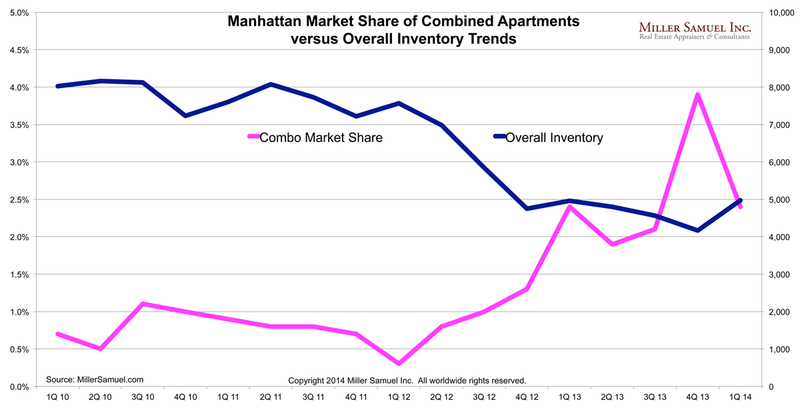 Over my career, I’ve have observed a higher frequency of combination apartments (ie co-ops or condos) when inventory is tight. A combination apartment is simply the connecting of 2 or more adjacent apartments (to either side, above or below). It may be easier and/or less expensive to buy the apartment next door to create a larger space (even if you have to overpay for it) than to brave the tough market searching for a larger place to live. 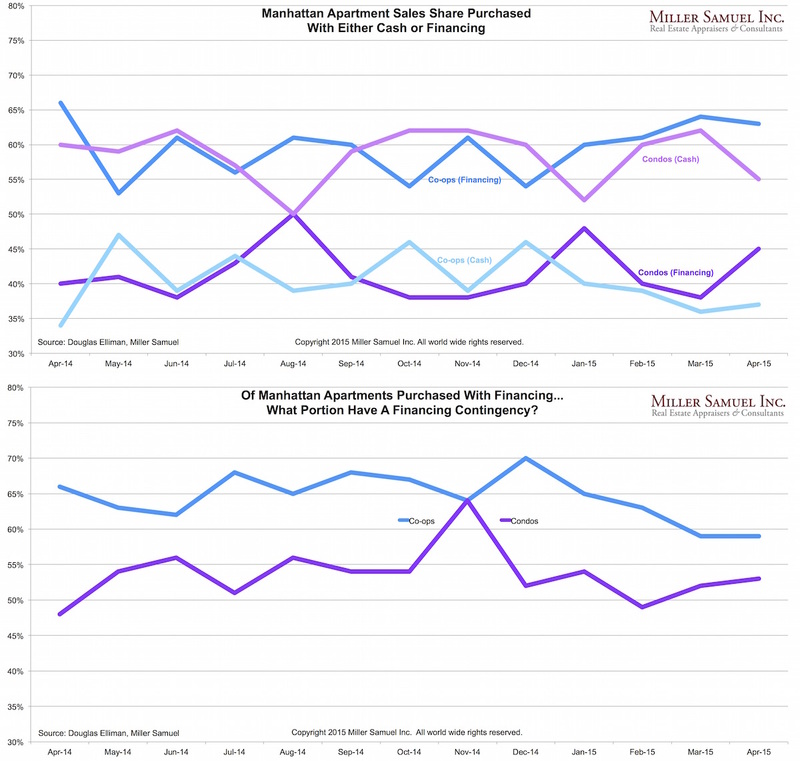 A few years ago I started to track this during the preparation of the Elliman Report: Manhattan Sales. I looked at the actual apartment numbers and counted those that suggested they were combined. I am clearly omitting apartment nomenclature that is not so clear ie 7AB is renamed 7A, so my results are conservative. 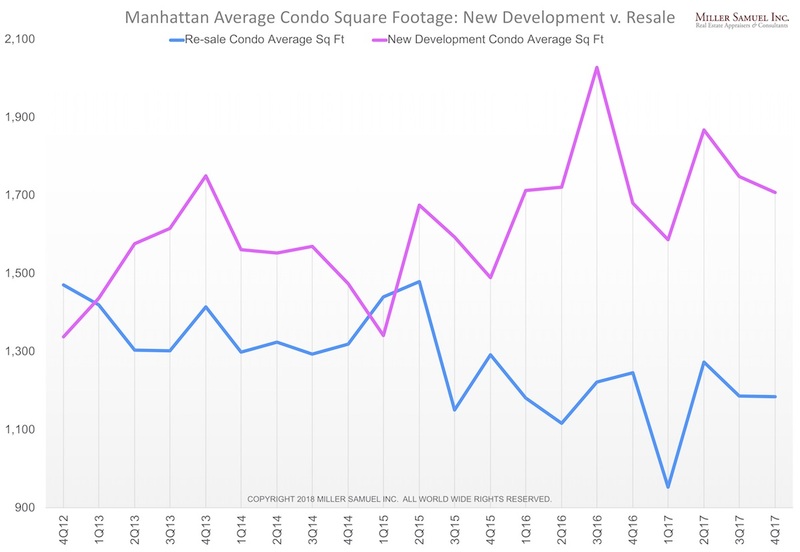 The above chart reflects the recent trend of more combinations being sold but doesn’t necessarily equate to more being created, so new combinations would only be considered a subset of this data. I’ve dubbed the phenomenon “1 + 1 = 2.5” because there is a premium for larger contiguous space. I’ve always thought co-op or condo building that allow combinations (nearly all do) as providing a potential way for shareholders to realize value upside, thereby enhancing the price structure of a building ie higher values rub off on other apartments in the same building. No shares are lost and in fact, many combinations result in the acquisition of dormant common hallway space providing additional revenue in perpetuity to the corporation and a cash infusion from the purchase price. Larger units sell for more on a ppsf basis (ie my formula above) potentially influencing higher values for other units. A few less apartments in the mix is a non-issue (ie risk) in a building this size, unlike, say a 4 unit brownstone. – Not all combo layouts make sense or provide value upside. – Layouts tend to work better in pre-war and new developments than post-wars. – 1980s condos often often the least combinable layouts – ie a side by side 1 bedrooms. – Over the last decade, developers have kept this in mind during construction to give them more flexibility during the sales process. – Sometimes large combos can be oversized for the building and there is no ppsf premium for the larger space. – When a an owner of a large unit buyers the adjacent unit, the mere fact that the same unit owner owns both usually results in a ppsf premium before renovations are made to connect. – The upside in value for a smaller apartment, means that a buyer can overpay for the unit as an individual sale but the addition of the smaller unit to the large unit adds value to both units on a ppsf. – The highest value is realized when the buyer can’t tell the layout was comprised of two different units. Simply creating a door between two apartments would realize the least upside. – The biggest “tell” on a combo is the existence of a second kitchen. – They are often converted to a laundry room or bathroom, taking advantage of the utility connections. – Buildings might object to the removal of the second kitchen because it may impact the building Certificate of Occupancy – I defer to lawyers on this point. – Some banks are scared of combinations and others are not. – In my experience banks require financing on the whole apartment – if they have a loan using collateral of one of the apartments, they will require that it be replaced with a new mortgage to cover both apartments. – Banks often get confused on the value of a combo asking the appraiser to provide a value for each of the separate apartments before they are combined. The problem with that position is that the combination is usually worth more as one apartment (even before considering improvements) – in other words, the sum of the parts is less than the whole and the bank will incorrectly assume the collateral is inadequate. – Many agents tell me it is assumed that maintenance charges are skewed higher for combos. I can’t prove this, all other things being equal. When it occurs, it’s probably for reasons other than simply combining the units. – A combo in a small building, ie a 4-unit brownstone co-op, raises the risk to the remaining shareholders if the combo shareholder stops paying their maintenance charges. Risk exposure to a mid to large sized building should be nominal. – Quite often hallways are purchased and incorporated into a combo layout for a better result. – The co-op wins by getting a cash infusion for the purchase and income in perpetuity for the additional share allocation from the common area purchase.